Our first article features a conversation with Rakesh Appaji. 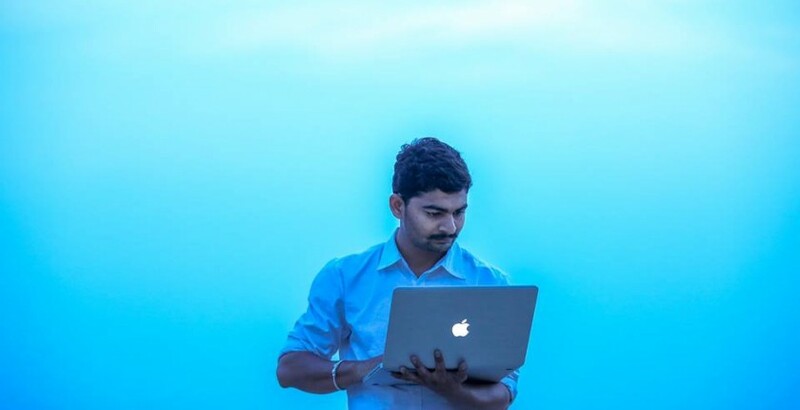 Rakesh, who started as a civil engineer realized soon enough that his path was set to become an entrepreneur rather than a quintessential salaried employee or a corporate junkee. He sought out to start his own software company and decided to learn programming himself to come to terms with the niche of the software market. In time, he joined DCT and shares his experience here. We designate him as the ‘dream convertor’ for he is one chap who would leave no stones unturned to achieve whatever he dreams and aspires. I pursued my Civil Engineering degree from Siddaganga Institute of technology and subsequently worked as a senior engineer in Larsen and Turbo for around two and a half years. Later I wrote my GATE exams, scored a high percentile and enrolled myself for masters in structural engineering in M.S Ramaiah Institute of Technology. By then, I was very sure that I wanted to be an entrepreneur and so I founded my own design consultancy where we provided skillful architectural, structural and interior design based solutions. How and why did you apply for the course at DCT ACADEMY? In this competitive world reaching out to the masses becomes the need of the day. Internet is one such vibrant, quick and cost effective tool to achieve the task. With an aim to network and branch out throughout South India, it became imperative for us to have our own website and mobile application. Adding to that, we needed our customized ERP software package to control and manage the internal functioning of our company. Naturally, I thought of outsourcing the work. However, the quotations and prices charged were exorbitant. So I decided to do the impossible – to build them myself by learning to code. After thorough research, I found that Ruby on Rails is one such framework which helps you build full stack, Web applications and is optimized for scalability and quick development. DCT was already a well established academy which expertly trains you on ruby on rails. Having realized that this is going to suit my needs, I immediately joined DCT to learn Ruby on Rails. How has your experience been so far in the classroom and outside? I must be honest; I was really bad in programming. Even during my college days, I had only one programming subject, the C language, which I failed four times; and somehow managed to pass the subject on my fifth attempt. So I was very skeptical about my performance in DCT and was sure to be tuned as the odd one out. Well, that belief was immediately shattered on meeting Aniruddha. His approach to train us was so meticulous and precise, that I quickly started grasping the programming concepts and with his help prepared myself to venture out to become a developer. He gave us hands on training and refined practical exposures. Very soon, within a span of two months I was capable enough to start building my own applications and successfully completed building project management software on my own. Such was my growth whilst learning from Aniruddha, who is a fantastic teacher. Would you say that your approach towards programming has changed? Yes of course, in fact very drastically. Initially whenever I would stumble upon good ideas, I would have to depend on other programmers to build them for me. Now all I need to do is open my laptop and start converting those ideas into lines of codes with the help of Ruby. And what more of an exhilarating feeling can there be to see your ideas turning into finished products, bringing out solutions to common problems and developing them completely by yourself. Along with my design consultancy, I now also run a software company and have almost finished 80% of the work of our first project for our client. And that speaks volumes of how much impact it has had on my life. What aspect of the course did you particularly enjoy? Well, there is no such single aspect, but rather the complete course was fun and intuitive for me. I saw myself evolve as a developer and in every class I got to learn something new and essential. To diverge myself from the field of civil engineering and transform into a programmer took effort and time, but each day spent in DCT was a fixture for me to achieve the same. Would you recommend others to take up a course at DCT? Of course, that will go without saying. No one would need a better example than me to denote how a good teacher can transform you and I assure you that DCT is one such place where you will get help and guidance at every nook and corner of your life. From a civil engineer to a person who can now architect, design and develop software products, it has been nothing but an exemplary journey that I would solely attribute as a skill developed in DCT. So if you want to convert your ideas into a software product but do not know to code, without further ado join DCT and trust me, you will be fulfilled.